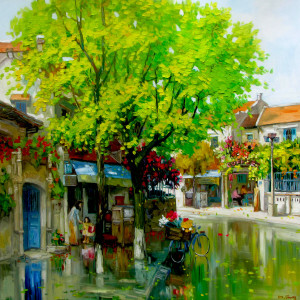 Capturing light and the depth of space was one of the central aims of Impressionism. 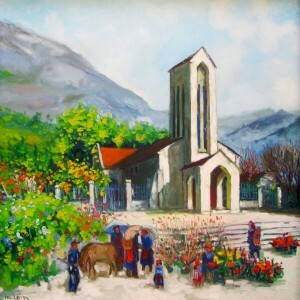 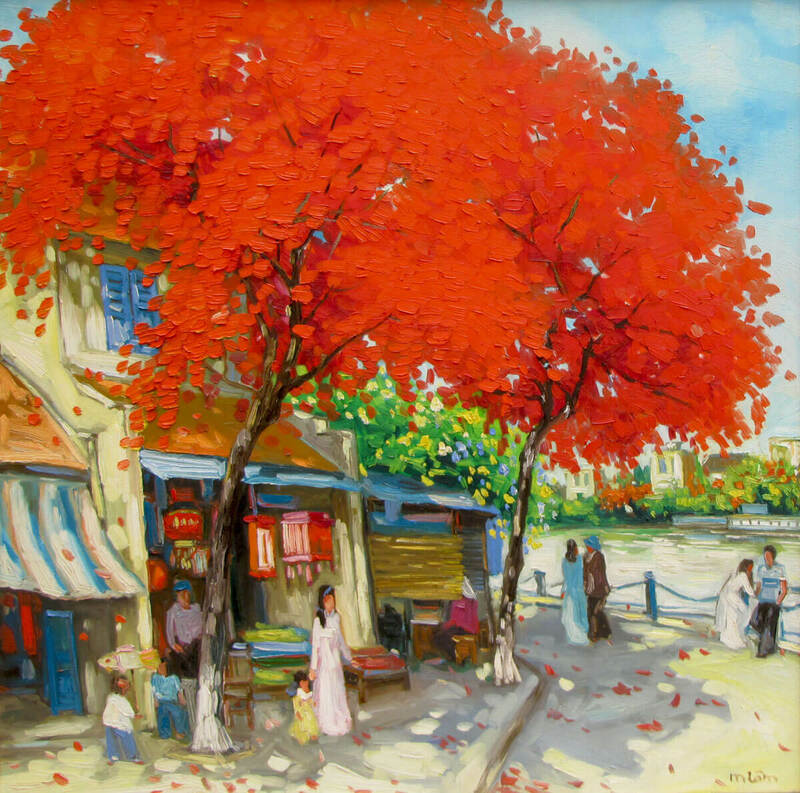 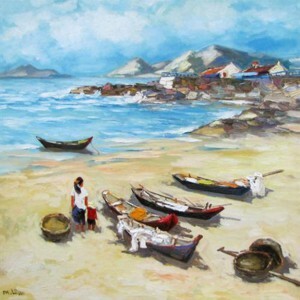 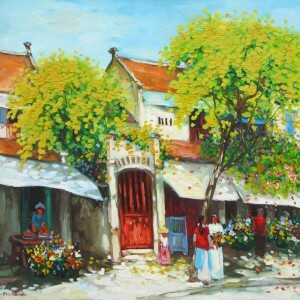 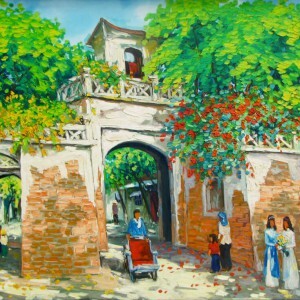 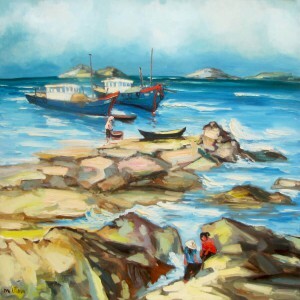 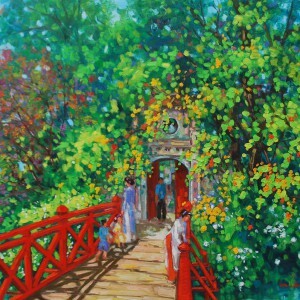 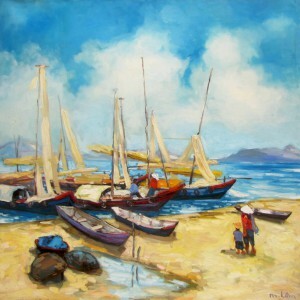 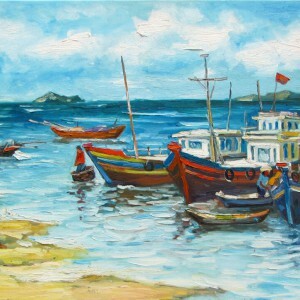 Lam Manh applied this Western concept to his contemporary Vietnam art. 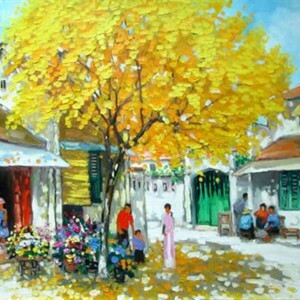 Here he applies separate dabs of paint to reproduce the effect of flickering light in this open-air scene of a small town life. 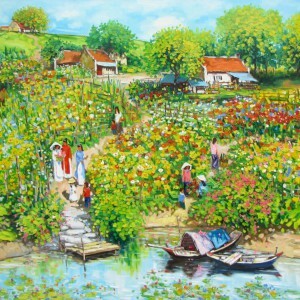 It is an excellent example of contemporary Asian art.